The Russian General Staff said that the civil war in Syria has almost stopped. Political analyst Karine Gevorgyan suggested that this could pave the way for the constitutional process in the country. "The situation has changed for the better after a memorandum on the creation of de-escalation zones in the Syrian Arab Republic was signed on May 4, 2017, in Astana. De facto the civil war in Syria has stopped," chief of the Russian General Staff's Main Operational Directorate Col. Gen. Sergei Rudskoy said Friday. According to him, the Syrian people have started returning to liberated cities and towns. "Humanitarian access to inhabited areas located within the de-escalation zones has been restored. In the last month alone, international organizations have sent 14 humanitarian convoys to these areas, which has significantly improved the lives of their residents," Rudskoy said. He also said that in northern Damascus over 2,600 former militants have returned to peaceful life as a result of the amnesty law. An operation was also completed to evacuate militants from the neighborhood of Homs. In two months, nearly 20,000 people were evacuated from the city, including some 7,000 militants. Russian political analyst and Middle Eastern expert Karine Gevorgyan suggested that if there are no provocations by terrorists the constitutional process could start in Syria. "Taking into account the complexity of the current situation in the Middle East, provocations are possible and combat actions may resume. Anti-Damascus groups sponsored by Saudi Arabia and Qatar have suspended their actions against the Syrian Army. But I can’t rule out that it was due to the Saudi-Qatar diplomatic crisis," Gevorgyan said in an interview with Radio Sputnik. However, she positively assessed the statement by the Russian General Staff and its possible results for the Syrian settlement. "This statement is very serious. In fact, it means that the constitutional process could start in Syria," the expert pointed out. Gevorgyan also praised the efforts by Russia, Iran and Turkey on the de-escalation memo and underscored the importance of the joint cease-fire monitoring group. "The efforts by the Russian military and negotiators finally resulted in the fact that many small groups [of militants] laid down their arms and joined the cease-fire. This is a tremendous achievement," she concluded. 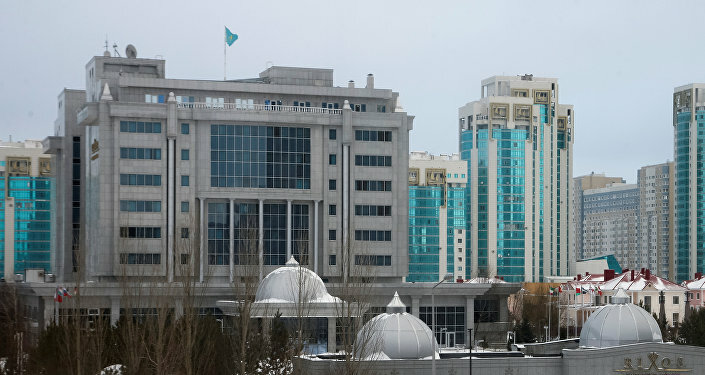 In January-May, Astana hosted four rounds of talks on the Syrian settlement. They resulted in the establishment of a joint cease-fire monitoring group and the signing of a memorandum on de-escalation zones between Russia, Turkey and Iran. The four zones include the northwestern Idlib province and parts of the neighboring Latakia, Hama and Aleppo provinces, the northern part of the central Homs province, eastern Ghouta near Damascus and certain parts in the country's southern Deraa and Quneitra provinces. The memorandum took effect on May 6. 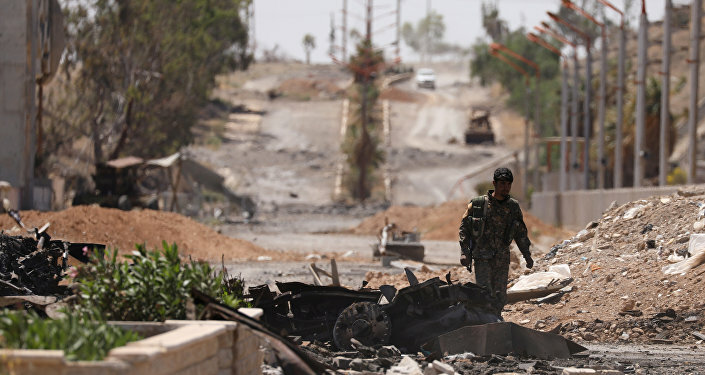 The deal presumes the cessation of airstrikes and combat actions between the Syrian Army and militants who have already joined or will join the cease-fire regime. The fifth Astana meeting on Syria will see the signing of documents, which establish the borders of the de-escalation zones and the control of the cease-fire in these zones, the commander of the Russian military group in Syria, Col. Gen. Sergei Surovikin, said.